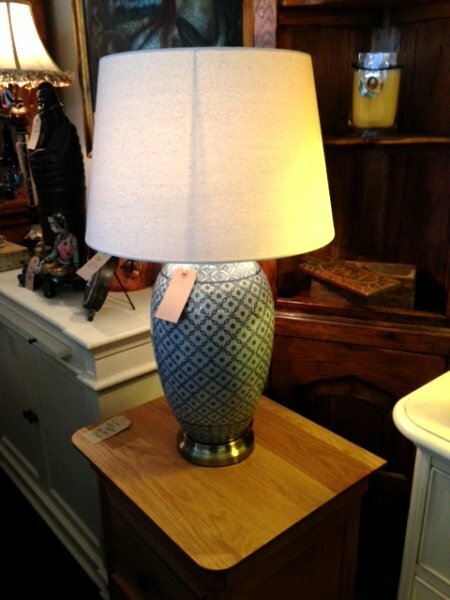 Here we've got the rest of the finest classic table lamps all now available to buy at Harvest Moon to light up your home including many designs. 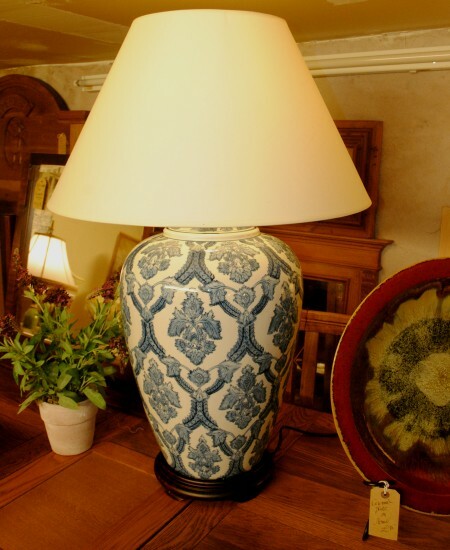 In the classic table lamps range below we've got a very large blue patterned table lamp as shown in the image below, plus tartan table lamps, a buffet table lamp, antique silver boudoir and several other ornate bedside / boudoir table lamps and other classically styled slim metal table lamps. 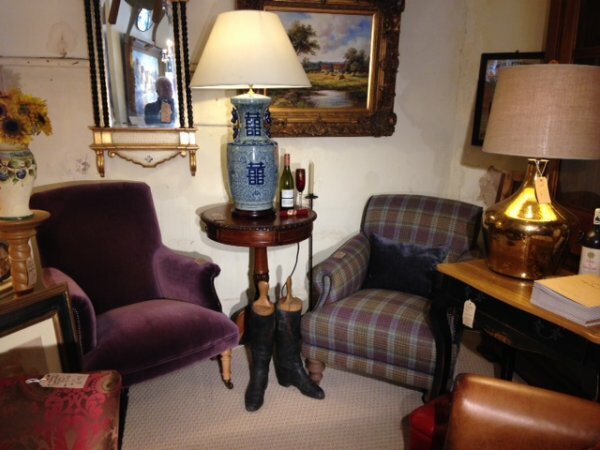 The range also includes classic weathered oak table lamp, Stag study lamps, Greek and Roman urn table lamps, Edwardian table lamps, a Burgundy tea can table lamp, lots of classic glass table lamps and more than 20 different ceramic table lamps including paisley, floral, French, lattice, Dynasty and Chinese ceramic table lamps in a variety of colours for your period coach house, country cottage, modern home and also popular as table lamps for hotels and restaurants. All the classic table lamps shown below include a shade and can be used as living room table lamps, dining room lighting, bedroom lighting or in any other room you fancy! 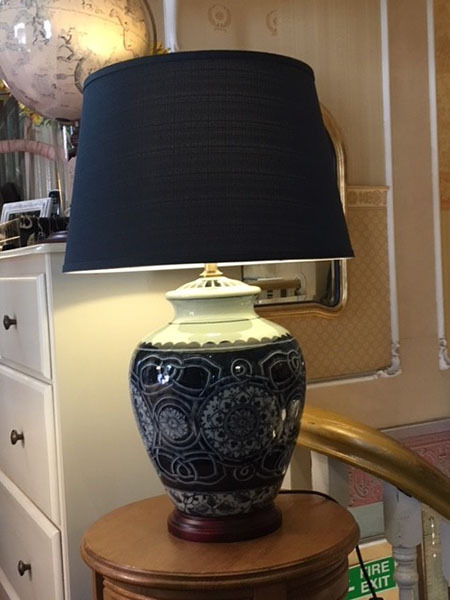 The image below shows the Very Large Blue Patterned Ceramic Table Lamp with Shade along with a Parker and Farr Clement Knole Chair on display in our Southport furniture showrooms, both of which are available to order. We have lots of lights on display, so come and visit us by the seaside. 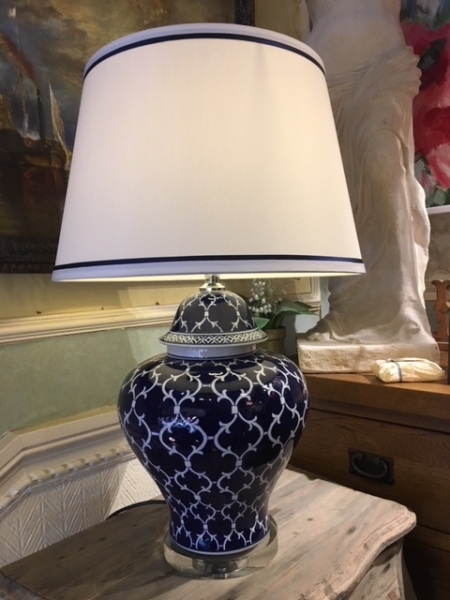 Large blue Dynasty ceramic table lamp on display in our Southport showrooms along with a contemporary table lamp and Tetrad chairs. 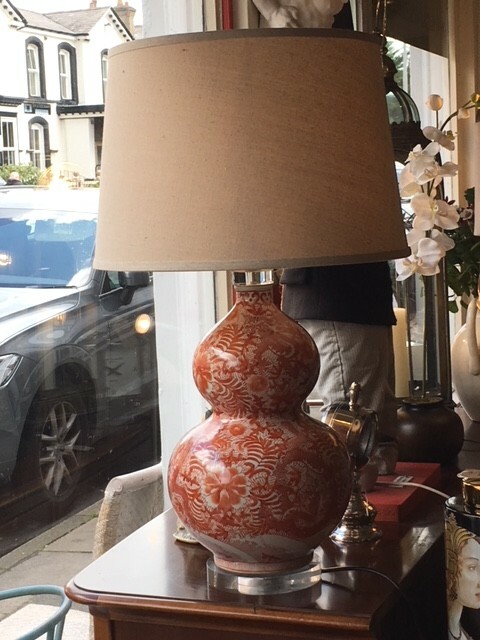 The image below shows the classic whitewash wooden table lamp with white shade on display in our Southport furniture showrooms. Ideal table lamp for a French restaurant!